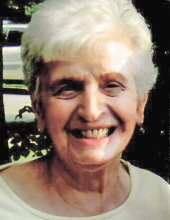 To plant a tree in memory of Viola E. Vara, please visit our Tribute Store. Family and friends are invited to celebrate a Mass of Christian Burial Friday, April 12th at 9:30 AM in St. Margaret Church, 1395 Hertel Avenue, Buffalo, NY. Please assemble at church. "Email Address" would like to share the life celebration of Viola E. Vara. Click on the "link" to go to share a favorite memory or leave a condolence message for the family.